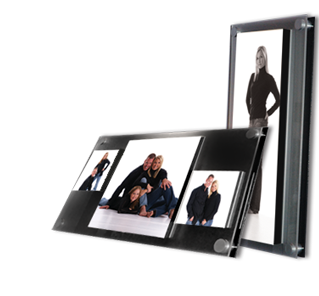 are created by fusing Fujiflex paper to a thin, clear piece of acrylic. Colors are more vibrant and appear to emit light of their own. The product is finished with four, ¾ inch spacers mounted on the back, which give the illusion that the piece is floating when hung on a wall.